In twenty shades, light to dark, yellow toned to pink toned, this match made in heaven foundation sure puts up a competitive variety of pros that will knock competitors with it's true to you formula. 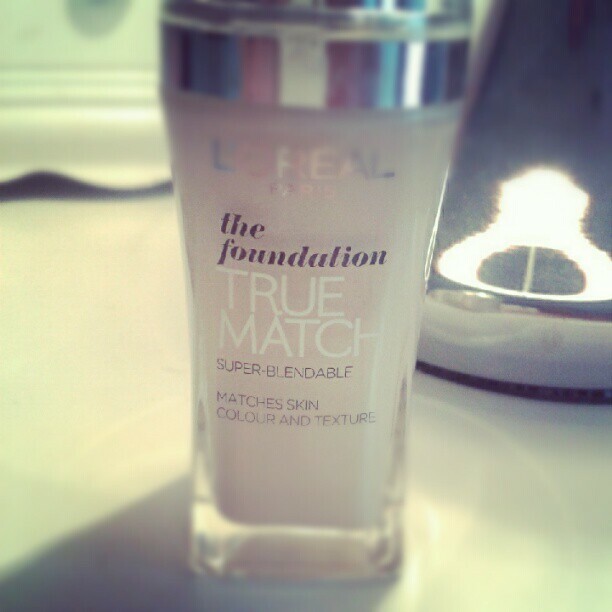 I decided to try True Match by L'Oreal because of two things. 1) Supermarkets always seem to have lower priced cosmetics during certain seasons like Summer or Winter. 2) I had heard amazing things about this foundation that led me to try...and love. On L'Oreal's Website, it states that the foundation is super blend able, hides imperfections, and mimics the texture of your skin. Yes, it is super blend able - in fact, it blends away to just a flawless appearance and the feeling of no makeup on your skin at all. Maybe, it sort of hides most "flat" imperfections like pigmentation problems or redness, but for teenagers or adults with acne, it does not "mask" the acne, but it does minimise. Luckily, L'Oreal have tons of concealer shades to pick from, so acne should never be a problem with this brand. of blush to show vibrancy. When I first tried the foundation, I admit it was a "thinner" consistency to the likes of Bourjois Paris 123 Perfect Foundation which is "thicker" upon applying. Though after several uses, the consistency isn't a bother, but a plus, because of it's illuminating appearance. 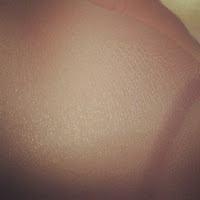 Another bonus for girls/women with Oily or Combination skin is that this foundation is Oil-free and non-Comedogenic. I use C1 Rose Ivory, which is L'Oreal's lightest shade in this foundation. I'm actually lighter in this brand than the Bourjois foundation (52, Vanille). 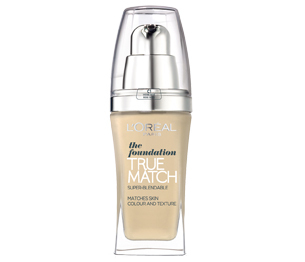 Nevertheless, considering all the uses and bonus features of this foundation, it would've been better if L'Oreal had displayed on the bottle (which has a pump, and is hourglass shaped), that it is a sort of 4-in-1 foundation; Vibrancy, Blend able, Mimics Texture, Hides Pigmentation. Here's my "product scores" and more, that should and hopefully will help you make up your mind about considering to take a further look into True Match. P.S. I'm now on Twitter! Either click the little birdy on the right side of this blog, or click here.